(Washington,DC)-Jhoombox, recently nominated as one of Tech Cocktail’s Hottest Showcasing Startups, is announcing the opening of their official pre-orders beginning at $119 on their website. The Android based “Musical console” has a patent-pending technology for generating and publishing original media content straight from the living room. It also enables next-gen screencasting of a smartphone on the TV. All consoles ordered will be delivered within 8-12 weeks in time for the holiday season. Jhoombox is the perfect holiday party companion. The innovative technology brings live orchestra experience to homes. It allows users to sing and dance to millions of available tunes from around the world. Singing sessions can be recorded for a one-click upload to major social networks like YouTube and Facebook. Proprietary software helps aspiring American Idols practice and improve their performances. The creative entertainment TV console streams movies on Netflix, surfs the web, Skypes and plays games. It comes bundled with a microphone and a wireless controller. An Android phone or iPhone can work as the remote as well. Selected to showcase at the Eureka Park of Consumer Electronics Show in Las Vegas this year, Jhoombox has been beta tested with fifty consoles and has acquired FCC approval to be sold in the United States. Jhoombox is a Washington, D.C. based startup founded to create a next generation family entertainment device. 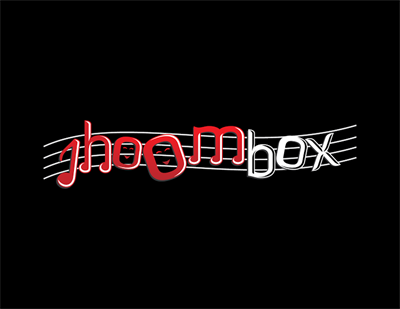 At the forefront of the “Social TV” movement, Jhoombox has worked to pioneer the ultimate socially connected, creative entertainment experience since 2011. Nominated as “One of DC’s Hottest Showcasing Startups” by Tech Cocktail, you can learn more about Jhoombox here. Jhoombox, recently nominated as one of Tech Cocktail’s Hottest Showcasing Startups, is announcing the opening of their official pre-orders beginning at $119 on their website. The Android based “Musical console” has a patent-pending technology for generating and publishing original media content straight from the living room. Jhoombox is the perfect holiday party companion. The innovative technology brings live orchestra experience to homes. Singing sessions can be recorded for a one-click upload to major social networks like YouTube and Facebook. The creative entertainment TV console streams movies on Netflix, surfs the web, Skypes and plays games. 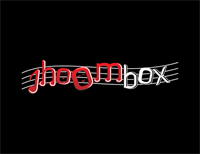 Jhoombox empowers people to discover their talents, find their own followers and create new revenue streams. We want people to stop being passive consumers and start exploring their creativity. Our Android-based console is at the forefront of the next generation ‘Social TV’ movement.